The inclusion of nutrition information on food labels has a long regulatory history. As far back as 1990, the Directive 90/496/EEC devised new regulations governing the voluntary inclusion of nutrition information on pre-packed foods.3 It was stated that nutrition information per 100 grams or 100 millilitres should be labelled, unless a nutrition or health claim was made on the package, in which case nutrition labelling became mandatory. In 2000, another EU Directive, 2000/13/EC, came into force to ensure that the consumer was provided with further information regarding a product’s net quantity, composition (i.e. list of ingredients), manufacture and advice on storage and preparation.4 Portion information on labels remained outside the scope of this legislation. Faced with increasing concerns about rising obesity rates and obesity-related health problems, the European Commission in 2008 submitted the proposed ‘Regulation on the Provision of Food Information to Consumers’ to replace the previous two directives on food and nutrition labelling.5,6 The intention of this new regulation was to provide consumers with the necessary information to enable healthy choices, making food labelling clearer and more relevant to consumers. From this the European Parliament and Council in 2011 adopted a revised version of the European Commission proposal mandating pack labelling for energy, plus five nutrients i.e. protein, total fat, saturated fats, carbohydrates (with specific reference to sugars), and salt, expressed as amounts per 100 g or per 100 ml.7 Finally, where products were packed as individual units of consumption, the legislation specified that nutrition information should be provided per portion as well as per 100 g/100 ml, alongside an indication of the serving size and the number of servings contained in the package. Consequently, until recently, the importance of portion information has been overlooked. 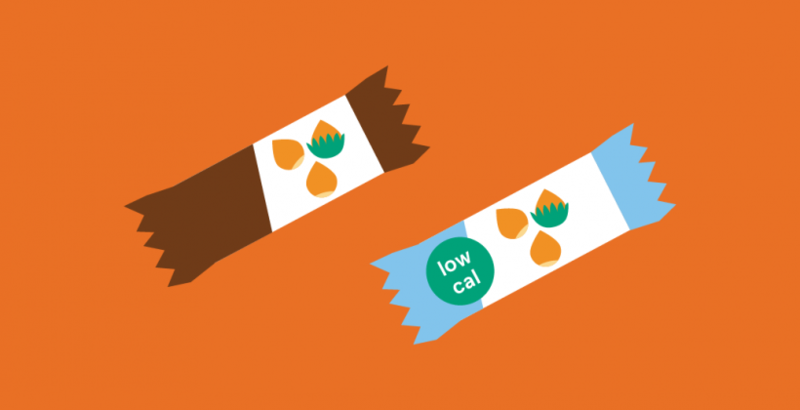 From a labelling perspective, the provision of portion information is not yet as common as nutrition information, and there is a lack of evidence about how portion information might be used or interpreted by consumers. This article sets out to describe how European portion guidelines were established, before going on to describe the factors that may affect portion control and how these link with health. Relevant studies are reviewed and summarised. A further section looks at consumer understanding of portion control and considers the value of clear portion size information for children. Most countries, including several in the European Union (EU), employ the pyramid design or an image of a plate divided into different sized sections.12,13 These indicate what proportion of meals (or the daily diet) should be devoted to different food groups, e.g. dairy, fruits/vegetable, protein foods. Countries using these methods include Sweden, the UK, and more recently the US.12,14 Such dietary recommendations are often based on proportions of total food or energy intakes, not on specific quantities, making them suitable for healthy people with a wide range of calorie requirements. There is good evidence that portions of certain foods have increased over time. A study in the Netherlands used manufacturers’ product information to establish portion sizes and numbers of servings for several energy dense products, e.g. confectionery, savoury snacks, and fast food.21 These were compared with data from the previous decade, with three trends becoming apparent. First, larger pack sizes were added to product portfolio, especially for family products. Secondly, portion sizes for a number of products, except single serve confectionery, increased steadily over time. Thirdly, multi-packs were introduced and, over time, began to include a higher number of items within the pack. Another UK study compared portion sizes of snacks in the UK and Northern Ireland over an 8-year period using national dietary data on adolescents.23 Carbonated and soft drinks were the most popular snack choices at both time-points. However, the portion size consumed and the frequency of consumption were significantly higher among the adolescents in 2005 compared with those in 1997. In the US, researchers monitored portion sizes consumed by over 63,000 individuals aged >2 years, as reported in consecutive national dietary surveys over a 20 year period.24 Attention focussed on savoury snacks, soft drinks, fruit drinks, desserts and fast foods, with data also collected on whether the foods were eaten at home or in a restaurant. The results showed that portion sizes in all food categories except pizza increased significantly between 1977 and 1996, regardless of where the food was eaten. However, fast food restaurants served the largest portions. Apart from manufacturers’ pack size or serving advice, there are several other factors that influence the portion control exerted by consumers. A summary of key studies published in the last 10 years is given in Table 1. Portion size was manipulated during a 20 min eating opportunity. Girls ate more when offered a large vs small portion. They ate more when companions ate more. 17 intervention and 8 control cafeterias. Interviews and questionnaires in relation to portion size. Offering smaller portion sizes and proportional pricing led to promising results. More work is needed to motivate workers, however, to opt for smaller portions. Repeat RCOT. Participants ranked the liking, familiarity and expected satiation after eating breakfast and an overnight fast (each repeated twice). Foods with lower expected satiation led to higher portion size estimates. Repeat RCOT. Participants ranked the portions of 8 foods and beverages after eating breakfast and an overnight fast (each repeated twice). Portion size estimates were significantly smaller when men were hungry versus full. Fast food restaurant (n=150), workshop cafeteria (n=141). Experimental design where products were given proportional pricing. When faced with proportional pricing overweight/obese consumers were more likely to opt for smaller portion of fast foods and soft drinks. n=22 representatives at point-of-purchase settings. Semi-structured interviews about portion size. Participants reported that offering a variety of portion sizes was more favourable than reducing portions. Pricing strategies and portion-size labelling were seen as the most complex strategies. Men and women (n=3610), 25-74yrs. Cross-sectional study, part of project INTERGENE. Obesity was linked to larger self-reported main meals. Males and females, 3-part study. Participants completed 4-day weighed food record; Trends in portion sizes obtained and analysed from manufacturers; Sales statistics data analysis. Subjects ate more when they chose low-fat foods. Food portion sizes for African-Caribbean’s variety greatly than that reported by Caucasians. Qualitative research has revealed that consumers have difficulties self-regulating portion sizes and would like to see greater choice of portion sizes, pricing strategies and serving-size labelling.36 However, consumers seem to respond differently in practice to interventions around portion size, price or labelling. In one study, participants attending the cinema (n=101) were asked to select one of five different portion sizes of a soft drink.37 These were either labelled with portion size and Guideline Daily Amounts per serving (intervention), or only millilitre information (control). Neither labelling approach led to participants choosing smaller portion sizes. A second study investigated the effect of portion labelling font size on consumers’ choices.31 In this experimental study, participants’ soft drink choices were analysed after they were provided with different label formats. The results showed that participants were more likely to choose soft drinks labelled with portion sizes in small fonts. The combined effects of portion size labelling and pricing strategies now need to be investigated. Similarly, a US study found that participants exposed to a large portion of salty snacks labelled as “small” consumed significantly more of that portion than those who were informed correctly about the portion size.38 The opposite happened when small portions were labelled as “large”, yet the effect was less pronounced. Notably, participants who believed they were being served a small portion more strongly underestimated their intake than those in the reverse setting, who overestimated their intake. These studies seem to indicate that consumers can be persuaded to eat more of certain products through labelling and pricing strategies, but are more difficult to influence in the opposite direction, despite expressing the view that they would welcome help with portion control. One third of respondents reported that they looked regularly for portion information on food and drink labels, but used the price and use-by-date information more often (90% looked often or always for this). Interestingly, 23% consumers were unaware how portion sizes were set, especially in the UK where 44% did not know. However, consumers also reported that when portion information was present on the pack, in addition to 100 g/100 ml information, this helped them to establish the nutrition content of a portion more easily. These are important findings and demonstrate a clear opportunity to educate consumers about the importance of portion information, although the challenge remains encouraging the consumers to use and act on this information.39 This may be particularly difficult in lower socio-economic groups where educational levels are poor. A German cohort study comprised of 1519 girls (11-14 years) found that socio-economic status, mothers’ level of education and parents’ migration background were some of the strongest risk factors for unfavourable eating patterns.41 These individuals, in particular, may have difficulties interpreting portion information. Larger portion sizes have been shown to increase food consumption and energy intakes in children. In a study of 53 pre-school children, researchers tested the effects of portion size and energy density on food and energy intakes at a meal.47 Two portion sizes were offered, 250 g vs. 500 g, while energy density varied from 1.3 kcal per gram to 1.8 kcal per gram. The results showed that larger portion sizes, and more energy dense foods, increased food consumption at the meal, and more generally as over-consumption at the test meal was not compensated for later. When offered the larger, more energy dense foods, the children consumed 34% more energy at the test meal. 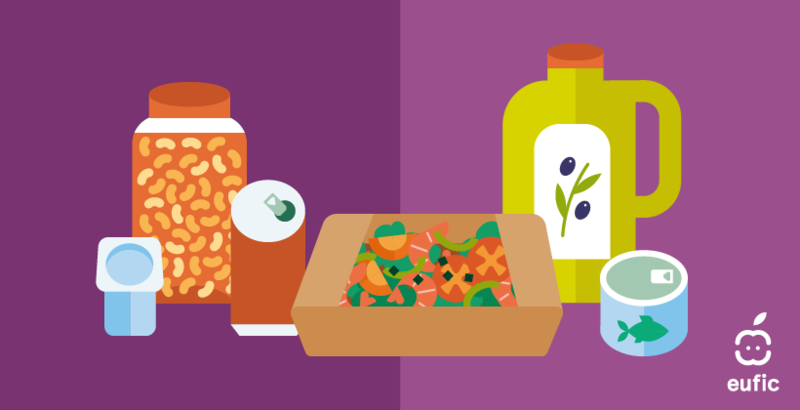 Portion control remains a key factor in the over-consumption of certain foods and drinks but, until recently, the importance of portion information on food labels has been overlooked in regulations. Factors affecting portion control are multifaceted, including appetite and hunger levels, the type of food consumed, the labelling format, ethnicity and presence of other diners, to name a few. Consumer understanding of portion sizes appears to be generally poor, with only one third of European consumers using portion information and around 40% remaining unsure how recommended portion sizes are established. Research to improve portion control, by providing more choice of portion sizes, improving labelling, and by instigating pricing strategies, has given mixed results. The main barrier appears to be consumer acceptability of smaller portions. Given present concerns about obesity in Europe and evidence that portion sizes of energy dense foods are rising, targeting portion control remains an important public health issue. Portion sizes of certain foods are rising over time. This could impact on portion control, energy intake and obesity risk. Several factors affect portion control at an individual level, e.g. appetite, price, hunger, perceptions about the food, the presence of dining companions and the fat content of the food. Portion size information may help consumers interpret nutrition information more effectively but too few consumers use portion information regularly. Although consumers claim to want more portion information and help to control food intakes, in practice there is resistance to pricing strategies and portion manipulation. At present, evidence is limited that portion size interventions offer any benefit. 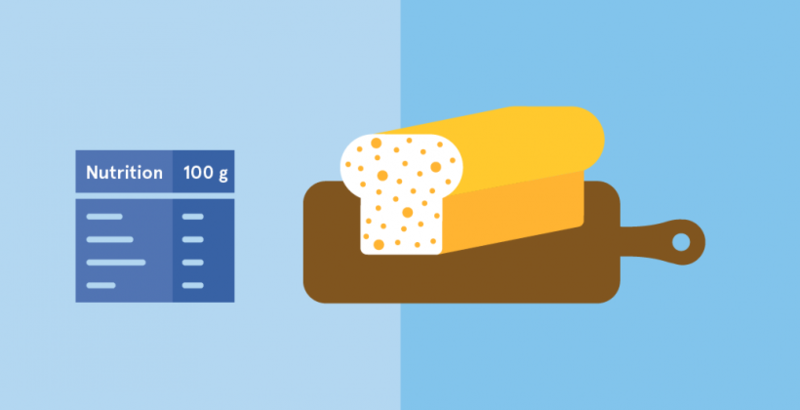 Harmonization of portion information across Europe and food products may be helpful. Further work is needed to determine whether factors such as socio-economic status and culture may affect the use and/or understanding of portion information. Faulkner GP, et al. (2012). 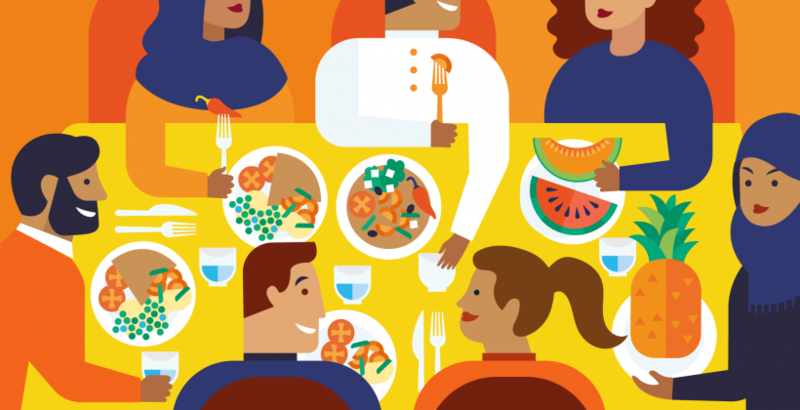 Serving size guidance for consumers: is it effective? Proceedings of the Nutrition Society, Available on CJO 2012 doi:10.1017/S0029665112000766. Lewis HB, et al. (2012). How much should I eat? A comparison of suggested portion sizes in the UK. Public Health Nutrition. 15(11):2110-7. Council Directive 90/496/EEC of 24 September 1990 on nutrition labeling for foodstuffs. Directive 2000/13/EC of the European Parliament and of the Council of 20 March 2000 on the approximation of the laws of the Member States relating to the labeling, presentation and advertising of foodstuffs. European Commission (2007). White Paper on a Strategy for Europe on Nutrition, Overweight and Obesity related health issues. COM (2007) 279 final. 2007: Brussels. European Commission (2008). Proposal for a Regulation of the European Parliament and of the Council on the provision of food information to consumers. COM (2008). Council of the European Union. Regulation (EU) No 1169/2011 of the European Parliament and of the Council of 25 October 2011 on the provision of food information to consumers. Institute of Grocery Distribution (IGD) (2008). Portion Size: A Review of Existing Approaches. IGD: Watford. Smith A, et al. (1998). The Australian Guide to Health Eating. Background information for nutrition educators, Australian Government Department of Health and Ageing, Editor. Australian Government. Britten P, et al. (2006). Development of Food Intake Patterns for the MyPyramid Food Guidance System. Journal of Nutrition Education and Behavior 38(6S):S78–S92. Elmadfa I (2009). European Nutrition and Health Report 2009, in Forum of Nutrition, I. Elmadfa, Editor. 2009, European Commission, Health and Consumer Protection, Directorate-General: Vienna. Anderson AS, et al. (2008). Exploration of Adult Food Portion Size Tools. NHS Health Scotland: Edinburgh. Croker H, et al. (2009) Mothers’ views on portion sizes for children. Journal of Human Nutrition and Dietetics 22(5):437–443. Confederation of food and drink industries of Europe (CIAA) (2010). Portion Sizes. For Purposes of Nutrition Labelling. Brussels: CIAA Proposed Approach. Steenhuis IH, et al. (2010) Small, medium, large or supersize: trends in food portion sizes in The Netherlands. Public Health Nutrition 13(6):852–857. Church S (2008) Trends in portion sizes in the UK - A preliminary review of published information. London: Food Standards Agency. Kerr MA, et al. (2009) Snacking patterns among adolescents: a comparison of type, frequency and portion size between Britain in 1997 and Northern Ireland in 2005. British Journal of Nutrition 101(1):122–131. Nielsen SJ & Popkin BM (2003) Patterns and Trends in Food Portion Sizes, 1977-1998. Journal of the American Medical Association 289(4):450–453. Berg C, et al. (2009) Eating patterns and portion size associated with obesity in a Swedish population. Appetite 52(1):21–26. Brogden N & Almiron-Roig E (2010). Food liking, familiarity and expected satiation selectively influence portion size estimation of snacks and caloric beverages in men. Appetite 55(3):551–555. Brogden N & Almiron-Roig E (2011). Estimated portion sizes of snacks and beverages differ from reference amounts and are affected by appetite status in non-obese men. Public Health Nutrition 14(10):1743–1751. Vermeer WM, et al. (2012). The process evaluation of two interventions aimed at portion size in worksite cafeterias. Journal of Human Nutrition and Dietetics 25(2):180–188. Vermeer WM, et al. (2011a). Small portion sizes in worksite cafeterias: do they help consumers to reduce their food intake? International Journal of Obesity (Lond) 35(9):1200–1207. Vermeer WM, et al. (2010a). Value for money or making the healthy choice: the impact of proportional pricing on consumers' portion size choices. European Journal of Public Health 20(1):65–69. Vermeer WM, et al. (2010b). Portion size labelling and intended soft drink consumption: the impact of labelling format and size portfolio. Journal of Nutrition Education and Behavior 42(6):422–426. Vermeer WM, et al. (2009). From the point-of-purchase perspective: a qualitative study of the feasibility of interventions aimed at portion-size. Health Policy 90(1):73–80. Hermans RC, et al. (2011). How much should I eat? Situational norms affect young women's food intake during meal time. British Journal of Nutrition 107(4):588–594. Matthiessen J, et al. (2003). Size makes a difference. Public Health Nutrition 6(1):65–72. Sharma S, et al. (2002). Assessing the diet of the British African-Caribbean population: frequency of consumption of foods and food portion sizes. International Journal of Food Sciences and Nutrition 53(5):439–444. Vermeer WM, et al. (2010c) Portion size: a qualitative study of consumers' attitudes toward point-of-purchase interventions aimed at portion size. Health Education Research 25(1):109–120. Vermeer WM, et al. (2011b). View the label before you view the movie: a field experiment into the impact of portion size and guideline daily amounts labelling on soft drinks in cinemas. BMC Public Health 11:438. Aydinoglu N & Krishna A (2011). Guiltless gluttony: The asymmetric effect of size labels on size perceptions and consumption. Journal of Consumer Research 37(6):1095–1112. Raats MM & Wills JM (2011). Webinar: How do consumers respond to portion information on food and drink labels? Initial results of new EUFIC consumer research. Bau AM, et al. (2011). Eating behaviour and its association with social living conditions and weight status among adolescent girls: results of the cross-sectional Berlin school children's cohort study. Public Health Nutrition 14(10):1759–67. Ello-Martin JA, et al. (2005). The influence of food portion size and energy density on energy intake: implications for weight management. American Journal of Clinical Nutrition 82(1):236S–41S. Fox MK, et al. (2006) Relationship between portion size and energy intake among infants and toddlers: Evidence of self-regulation. Journal of the American Dietetic Association 106(1, Supplement 1):77–83. Rolls B, et al. (2000) Serving portion size influences 5-year-old but not 3-year-old children's food intakes. Journal of the American Dietetic Association 100(2):232–234. Looney SM & Raynor HA (2011). Impact of portion size and energy density on snack intake in preschool-aged children. Journal of the American Dietetic Association 111(3):414–418. Fisher J, et al. (2003). Children’s bite size and intake of an entrée are greater with large portions than with age-appropriate or self-selected portions. American Journal of Clinical Nutrition 77:1164–1170. Fisher JO, et al. (2007). Effects of portion size and energy density on young children’s intake at a meal. American Journal of Clinical Nutrition 86:174–179. Bish B, et al (2005) Educating parents about portion sizes for preschoolers. Journal of Pediatric Health Care 19(1):54–59.